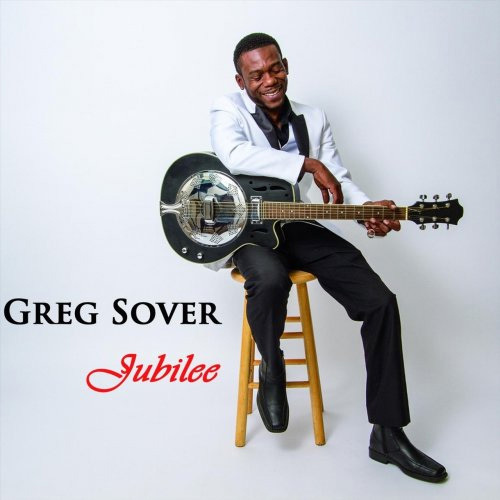 Jubilee is Greg Sover’s follow-up to his debut, 2016’s Songs of a Renegade. While there isn’t a lot of time between the two albums, there is some interesting musical growth, with Sover moving in more of a bluesier direction. Jubilee, just six tracks long, is bluesy, both in music and in production. Songs had some nice tracks, but in general suffered from overproduction, giving everything a sheen that sometimes made Sover hard to detect. Jubilee still has a fairly produced sound, but also feels more immediate. “Jubilee” is a traditional blues, complete with dobro, harmonica, and tambourine. The traditional instruments play over an airy drum-and-bass that sound almost synthetic. The two differing sounds form a compelling, complete song that sounds like a real evolution of the blues (or at least an evolution of the work of 80s ZZ Top). “Temptation,” a live track, also has a vibrant, immediate energy, with Sover shredding over a slow blues, his cool, laid-back vocals centering the track as much as the drums do. “As the Years Go Passing By” is another slow blues, with more shredding and solid vocals. “Emotional,” the lead track is more rock than blues, but the track works because of a snake-y guitar line and more of Sover’s strong vocals, which soar through the track. It also has a great chorus. Jubilee is less successful when Sover strays too far from the blues. “Hand on My Heart,” which appears twice on the album (one track is a shorter radio edit) is reminiscent of adult contemporary Eric Clapton, circa Journeyman, meaning good songwriting and performances, but a certain lack of grit. Sover is at his best when he’s not just playing the blues, but expanding upon it. While he’s adept at staid, adult contemporary songwriting, when he welds traditional blues onto well-produced tracks, he comes up with something not usually heard in blues and blues rock. It’s a shame Jubilee isn’t a longer album so we can hear more of that evolving songwriting.